My latest children's book review is more for the older, young adult, age group. The Time Travellers Club by Mark Roland Langdale is published by Matador Press and tells the tale of Benjamin Digby Esq., Time Traveller. The first thing I have to say about this book is "Wow". 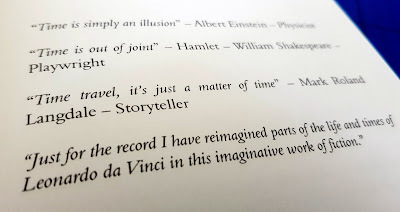 The Time Travellers Club is a wild foray into the mind of the author. I honestly have never read a more rambling book in my life. There are 3 times as many similes and asides as there is storyline, and there are so many references that a young reader is going to struggle to understand or recognise even half of them. For me it's full of nostalgia. I actually was one of only 7 people who turned up to see Furniture do a pub gig in Nottingham back in 1989, the last thing I expected would be to see them namechecked in a book in 2018. Our hero Benjamin Digby wants to travel through time. Not only that, but he also wishes to collect the best scientists and inventors as he goes, creating the most extraordinary Time Travellers Club. If he perfects his time travel machine, he can go wherever he wants. I won't spoil the rest of the story for you, frankly I'd never be able to because I'd never remember more than 7% of what's in the book. There is time travel, there is romance. Brotherly compassion, fraternal competition. There is even an evil bad guy with a plan, and there's a chase. There is everything you'd expect from an action/adventure, yet the retrospective way the story is related makes the pace and flow much more even. The number of similes, metaphors and mini stories decreases towards the second half of the book, but some readers will find it harder-going and won't last that long. You have to concentrate more to follow the storyline, and with references that are unknown, if you are anything like me then you'll want to look it up. 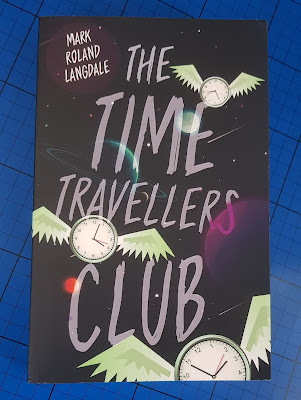 The Time Travellers Club is written by Mark Roland Langdale and published by Matador. Available now £9.99rrp from book shops in store and online, including Amazon (affiliate link*). 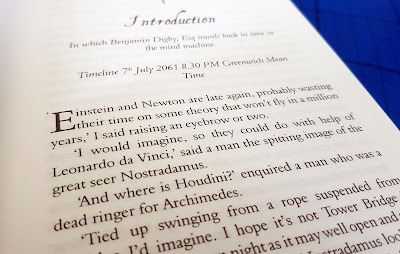 The Time Travellers Club was sent to me to review. The *Amazon link is affiliate, in order that I become a millionaire and can afford to invent my own time machine. Until then I'll continue to earn a few pence if you spend a pound through my link, but you won't pay any more.